Burke Design is proud to provide commercial design and construction solutions to the people of Santa Barbara. We have worked very hard over the years to earn our strong reputation for providing superior customer service and building high-quality commercial buildings. Our goal is to exceed your expectations as we complete your project while taking your needs, vision, and budget into great consideration. When you hire an architect, contractor, and construction workers to complete your commercial building project, it is important to choose individuals that are going to represent your company well. We understand this completely, and this is why all of our employees are not only experienced and trained, but also extremely committed to providing high quality results and friendly, professional service. We take pride in our work and are determined to provide the desired results the first time. When most people think of embarking on a new commercial construction project, instead of being excited about new possibilities, they worry about the forthcoming stress and hassle. You have to keep architects, insulators, electricians, and a myriad of other subcontractors, working toward a unified goal, sticking to a strict schedule, and staying within your budget. This can feel as if it is an impossible task. The answer is the design/build technique, utilized by Burke Design. This method is very simple: the same company fulfills all of your design and construction needs. Instead of trying to communicate your requirements and concerns to dozens of people, you have one central project manager that will take care of everything. Who better to complete your construction than the same people who created the initial design? At Burke Design, we are never content settling. If there are better techniques or solutions that we could be incorporating into your design or your build process, we are determined to learn everything we can in order to provide them to you. Our team is constantly continuing training and education so that we can always deliver the most innovative design and construction strategies available. When it comes to the latest technologies, materials, and concepts, Burke Design in Santa Barbara is where you will find what you need. Forty years of hands-on Architecture, Construction and design/build experience have given Burke an in-depth knowledge of all types of design and construction methods and processes from Single and Multifamily residential design and construction projects to Condominium and housing tract entitlement processing and construction to industrial / medical / hospital, commercial and retail projects. Graduating with honors with a Bachelor of Science degree in Construction Engineering from the School of Architecture and Environmental Design at the California Polytechnic State University, San Luis Obispo (1972) there has been a continuing process of training, education, experience and testing that has ultimately allowed Burke to accumulate five (5) California State Contractors license classifications including A: General Engineering; B: General Building; C-8: Concrete specialty; C-36: Plumbing and C-51 Structural Steel Erection. After a career consisting mostly of design/build projects the next logical step was to qualify for, test and obtain a California Architecture License which was achieved in 1997. In 2008 I decided to upgrade my credentials in response to the nationwide movement towards “Green Building” by becoming a “LEED Accredited Professional” (Leadership in Environmental and Energy Design). In 2001 Burke Construction Advisors was started to provide construction management services for clients who needed help in getting projects through the design, entitlement and construction process. In 2003, after becoming a Authorized Independent Dealer for Capital Steel Industries, Varco Pruden Buildings and Rigid Steel Building Systems, Burke Steel Buildings was created to capitalize on my design/build experience in pre-engineered metal buildings. Then in 2004, when it became obvious that most of Burke’s work was design/build he created Burke Design to state in our name what it is that we do. Prepared complete operations and procedures manual for Healthcare Environments including eight hours of video taped classroom training sessions for project management and field supervisors. Prepared a summary training manual for project superintendents in the basic use of Primavera P3 DOS scheduling techniques. Prepared complete library of standard scopes of work for all trades from grading through final occupancy of residential tract work and trained project managers on use of the system on an AS400 main frame system for Pardee Construction Company. Santa Barbara: Owner/Principal specializing as general contractor for construction of all types of projects. Santa Barbara: Original startup and president of a general construction company operating as the exclusive builder for a land developer specializing in the design, construction and land development of single family residential projects totaling over 100 units per year in the Santa Barbara, San Luis Obispo and Ventura County area. Pasadena: Vice President and Principal with general contractor specializing in the design and construction of highly specialized medical imaging systems in hospitals and high-end medical office tenant improvements. Also branched off into commercial office tenant improvements and commercial/retail remodels and land development. Los Angeles: Director of Forward Planning for the Coastal Valleys Division of a public ally traded land developer building over 6000 units per year. Los Angeles: Contract Administrator for large public residential developer developing over 3000 units per year. Santa Barbara: Estimator and project manager for general contractor specializing in multi-family and single family tract development projects. 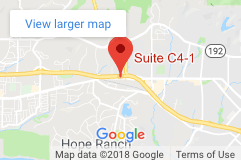 San Luis Obispo: Vice President and Partner in general construction company specializing in commercial construction and clean-room manufacturing facilities. San Luis Obispo: Estimator and project manager for commercial, hotel, restaurant contractor and land developer. San Luis Obispo: Owner and President of general construction company specializing in subcontract concrete, framing, steel erection, roof truss sales and installation and public works concrete structures. San Luis Obispo: Estimator and project manager for a general contractor specializing in design/build of pre-engineered steel buildings for commercial, retail and industrial use. San Luis Obispo: (name coincidence) Estimator for a Public works general engineering contractor specializing in road work, bridges and structures.